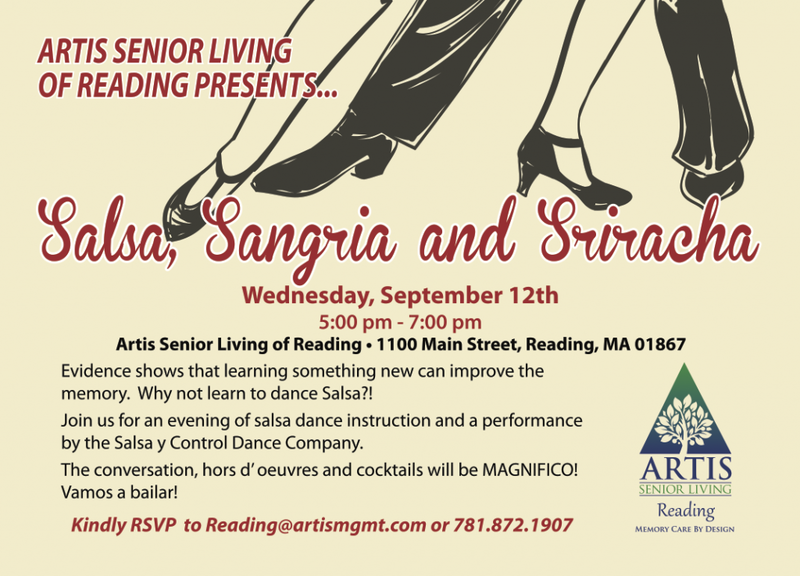 Please join us at Artis Senior Living for our upcoming fiesta, “Salsa, Sangria and Sriracha” on Wednesday, September 12th, from 5:00-7: 00 PM. Come and enjoy the company of your colleagues, delicious food and drink, and a showcase of salsa dancing by the Salsa y Control dance company. There will also be lessons so you can learn some spicy moves of your own. Vamos a Bailar! RSVP to 781-872-1907 or at Reading@artismgmt.com.